Last friday, Everland had the honour of welcoming a group of up-coming beverage brands for a creative session on the value of co-branding. Across industries – from beverage to fashion, food to cars and technology to footwear – co-branding partnerships have been an effective tool to build value, position and add excitement. But as co-branding is an effective way to build business, boost awareness, and break into new markets it can also be a challenge to find the right brand to partner with. 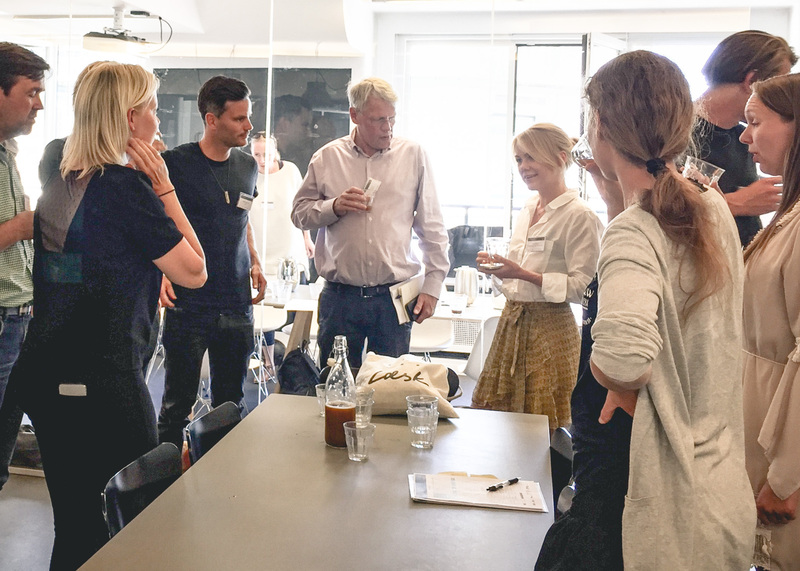 As part of Food Organisation of Denmark’s “Fremtiden Madscene”, we ran the session on co-branding and how to find the win-win match. With inspiration from examples ranging from Coffee Collective’s work with Læsk to Diet Coke’s partnership with Karl Lagerfeld, the group identified both companies with similar values and popular culture to team up with. Everland and F.O.O.D have worked together for the past year, resulting in brand strategy and design work for Læsk and Syngja. Read more about the programme at FOOD’s website.